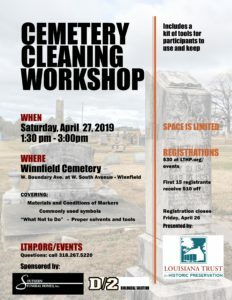 Join us at the Winnfield City Cemetery on Saturday, April 27, 2019, as we learn the materials and methods for properly cleaning historic headstones. 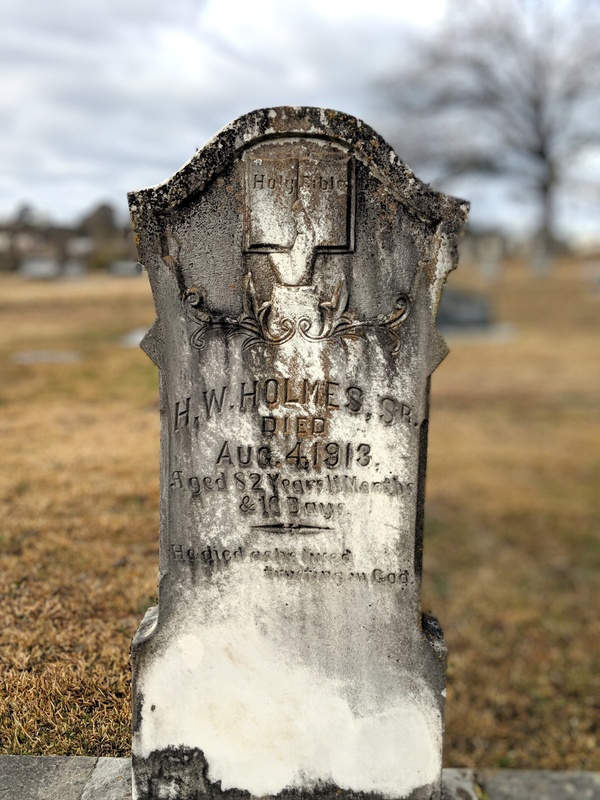 We’ll identify the types of materials used in cemetery markers, what condition issues they may have and ways to properly clean them. Each participant will receive a tool kit to use and keep. 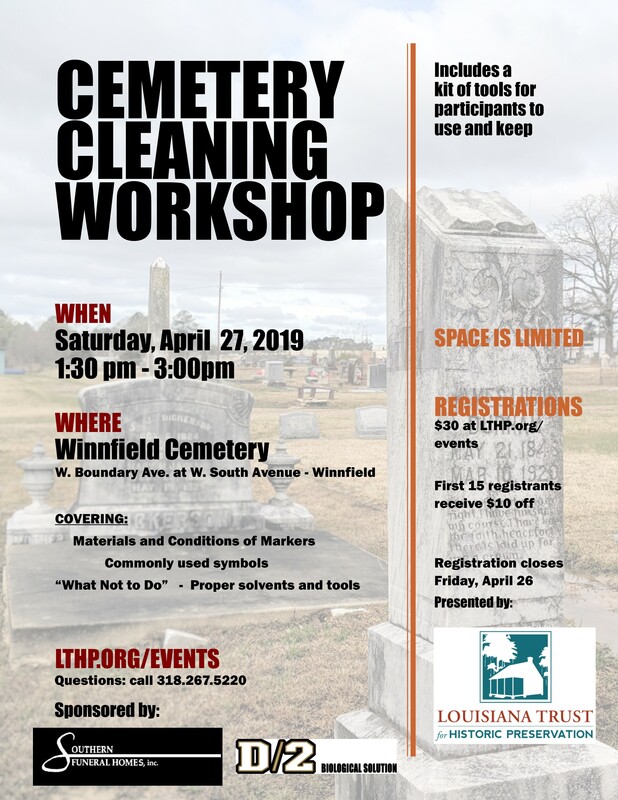 Location: Winnfield City Cemetery – West Boundary Street at West South Street (adjacent to Winn Parish Medical Center). This workshop is sponsored by Southern Funeral Homes and D-2 Biological Solution. The first 15 registrants receive $10 off with the coupon code “Southern” at checkout. Registration closes on Friday, April 26, so we may assemble kits for all participants to use.